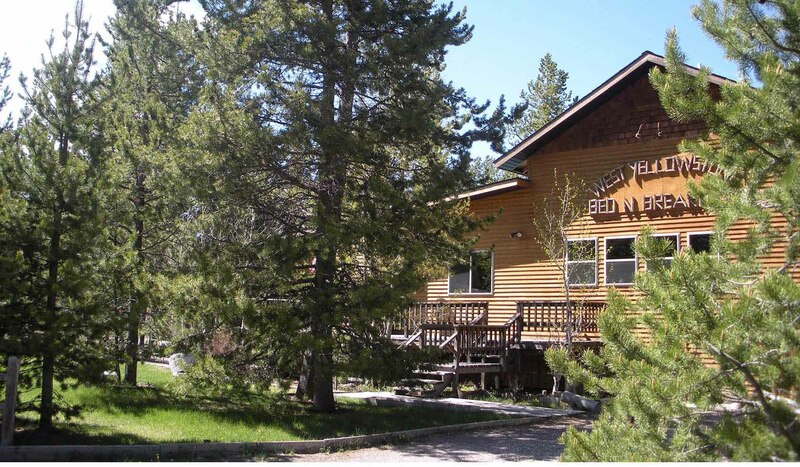 The West Yellowstone Bed & Breakfast is located just 6 miles from the West Entrance to Yellowstone National Park on Highway 20. This 2003 remodeled home reflects the natural beauty of Montana with Lodge Pole pine beds, Douglas Fir from floor to ceiling and a fireplace that is reminiscent of the 1940s. This owner built home offers 3 bedrooms, each with their own private bath and outside entrance. A home cooked breakfast is offered each morning and guests may select from a menu that varies for light tastes or a hearty appetite. Enjoy the views from your room or the wildlife from the wooden decks overlooking the gardens. The West Yellowstone Bed & breakfast is your 'home away from home' under the Big Sky in the picturesque mountains of southwest Montana. The natural beauty will draw you here, the western hospitality will keep you coming back.